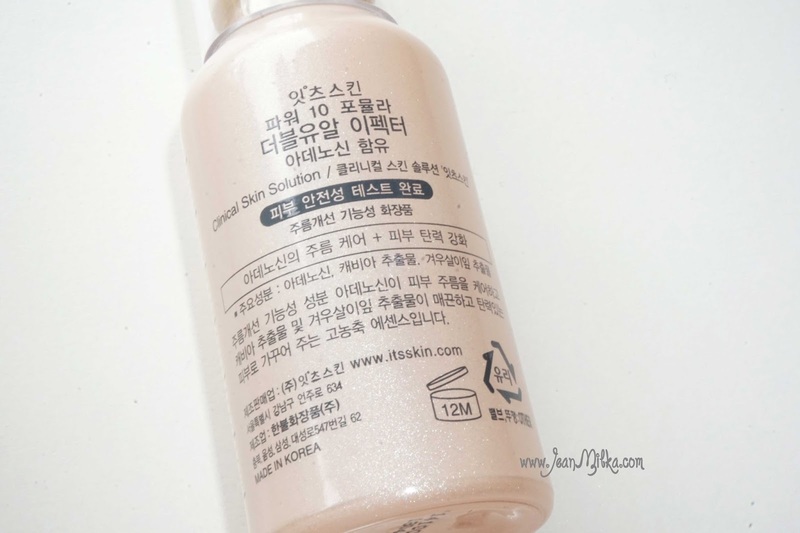 My first post for this year is another skin care product review which is from Korean brand, It's SKIN. I heard one of my favorite beauty blogger talking about this brand before, but I haven't try any product from It's SKIN. Lucky the owner of Nu Beauty Store, offered me to try some products from It's SKIN. It's SKIN is well known for their Power 10 Formula skin care product. 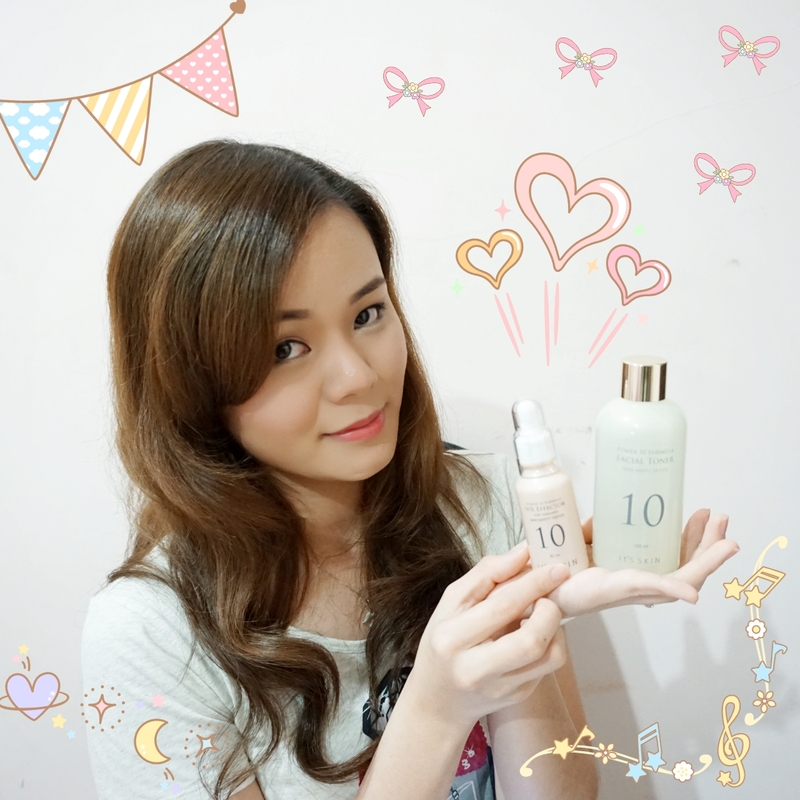 Today I will reviewing two products of their Power 10 Formula. 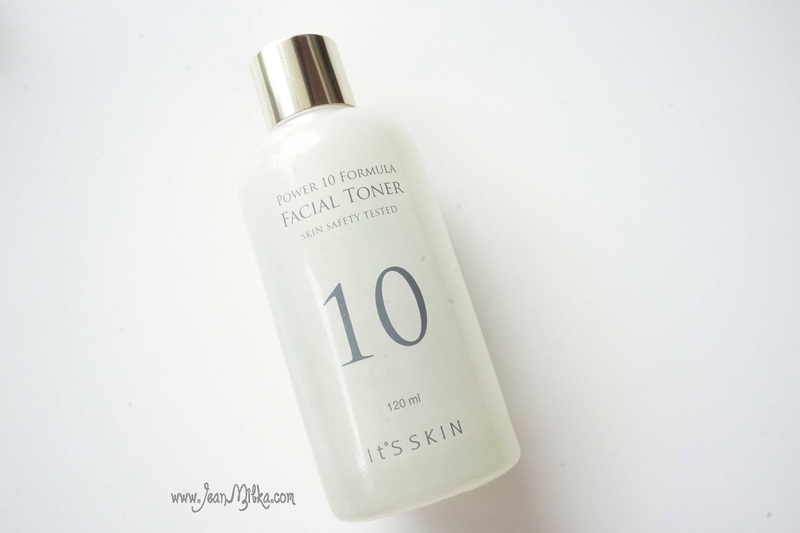 First product is Power 10 Formula Facial Toner. I have been using this toner for about one and half months now. Let's talk about the packaging first. Most Korean product that I've tried, comes in cute, girly, full of color kind of packaging. It's Skin product comes in simple elegant design that I like. The design make it looks like a high end skin care product. 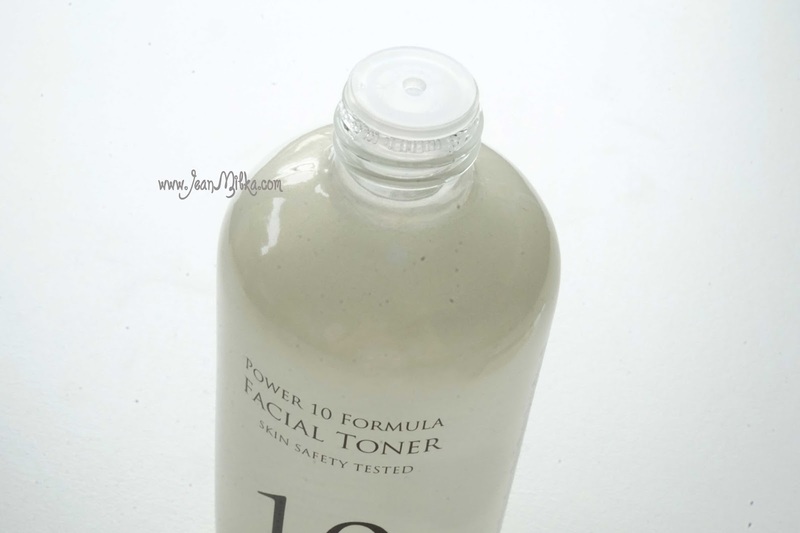 It might not travel friendly since The Power 10 Formula Facial Toner comes in heavy glass bottle of 120 ml product. First thing that you will notice once you open the bottle is the scents. I have love and hate relationship with the scents. I can't describe the scents *and I am not gonna try* but sometimes I like the strong fragrance scents of it and I just feel like I want to use it as a perfume, but in another time I just feel like the scents is way too strong for a facial toner. If you don't like strong scents, you might want to skip this one. I was thinking that the scents might cause irritation to my skin. I only applied it on my jaw line at first, to see how my skin react to this product. It doesn't cause any irritation to my skin... *huiiff... such a relief*, otherwise it makes my skin feels moist and bouncy. I didn't notice huge effect from this product, I even hate it at the beginning since I feel like it make my skin produce more oil. 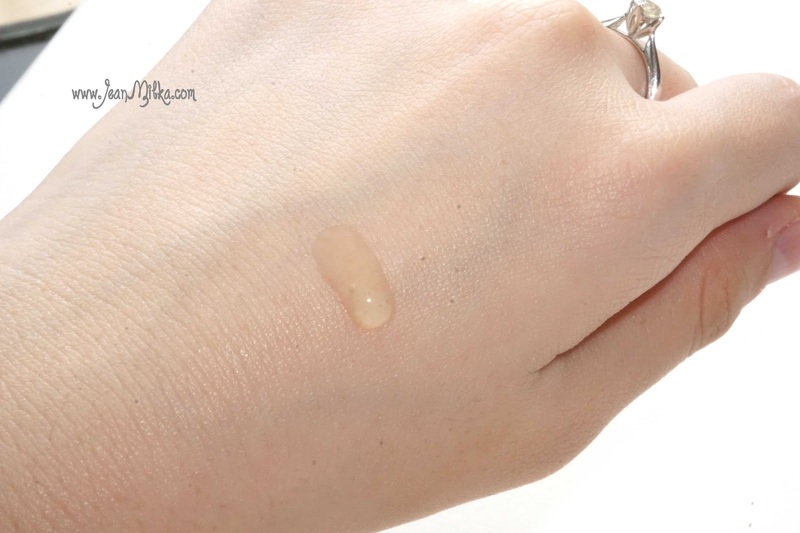 It does moisturizing my skin, but since my skin is oily type it sometimes makes my foundation looks cakey. Especially on the day when I am using the serum and toner together. But after my last trip to Hong Kong where my skin suffer from significant weather changes, from humid to winter weather, and become more dehydrated than usual, I started to love this facial toner. It does restore my skin condition. 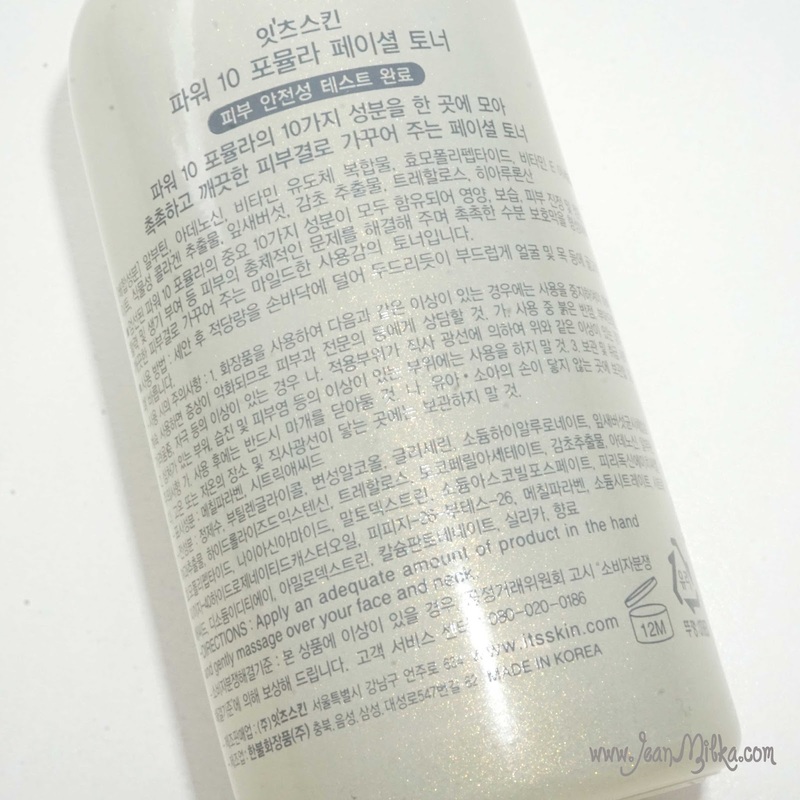 Now after my skin fully recover to it's normal condition, I only use this toner once or two times a week at night time, or on the night where I feel like I need to hydrating my skin. I still using my favorite toner which is Etude House Wonder Pore on other days. I think this product might works better for you who have dry skin. The texture is so watery and the instruction says that you can apply adequate amount of product in your hand and gently massage over your face and neck, but I prefer to use it with cotton pads. 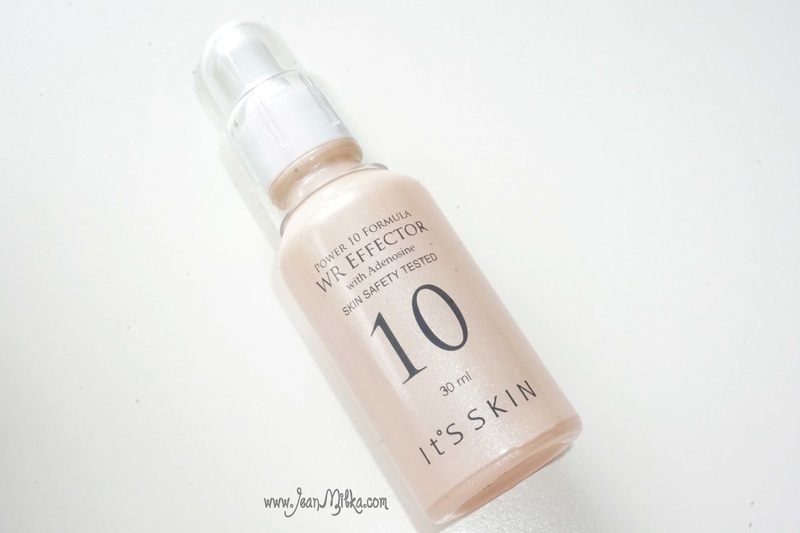 Second product that I tried from It's SKIN brand is their world well known serum which is Power 10 Formula WR Effector. It's SKIN have 11 different serums all formulated to tackle all skin problems like wrinkles (WR), whitening (WH), oil control (VB), and etc. Each serum contains highly effective, nourishing ingredients that terminologically tested. 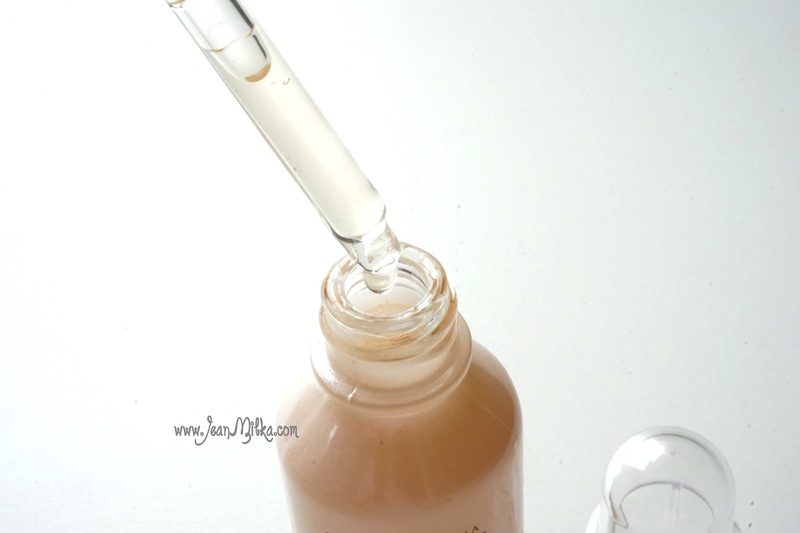 It's Skin serums are alcohol and colorant free so it can be use for sensitive skin. 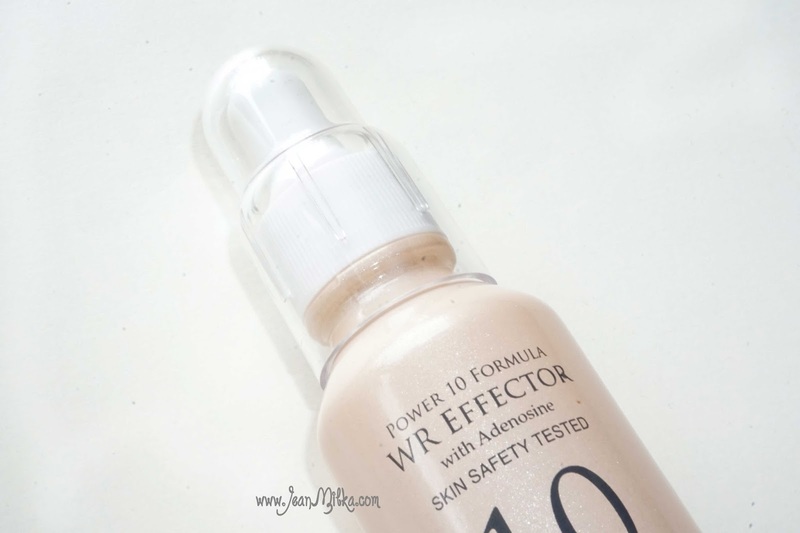 The Power 10 Formula WR Effector contains caviar and mistletoe extract with Adenosine to diminish fine lines and wrinkles, leave you with youthful glow skin. Who say that you need to be older to start using anti wrinkles product? you can start using anti wrinkles product from 25 - 28 years old. My age is still bellow that number, that's why I can't tell the different between before and after I am using this product. But I noticed that, it moisturize my skin and gives bouncy feeling to my skin, especially when I used it together with the toner. This product will works best for dry skin. 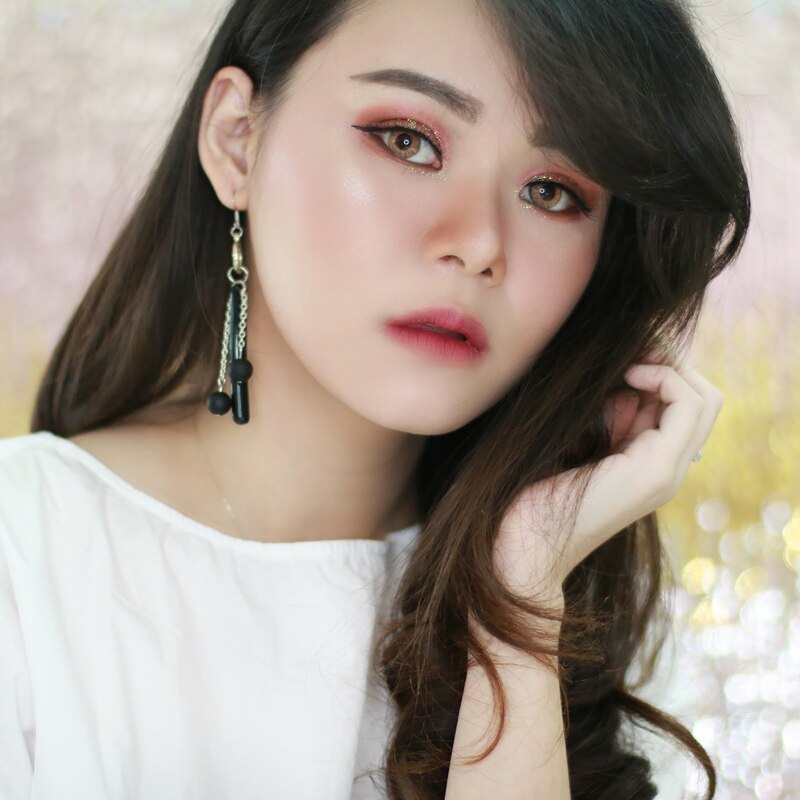 Most of skin care products that formulated for fine lines and wrinkles, contains a lot of ingredients that supposed to moisturizing your skin since fine lines and wrinkles occur to dehydrated skin most of times. 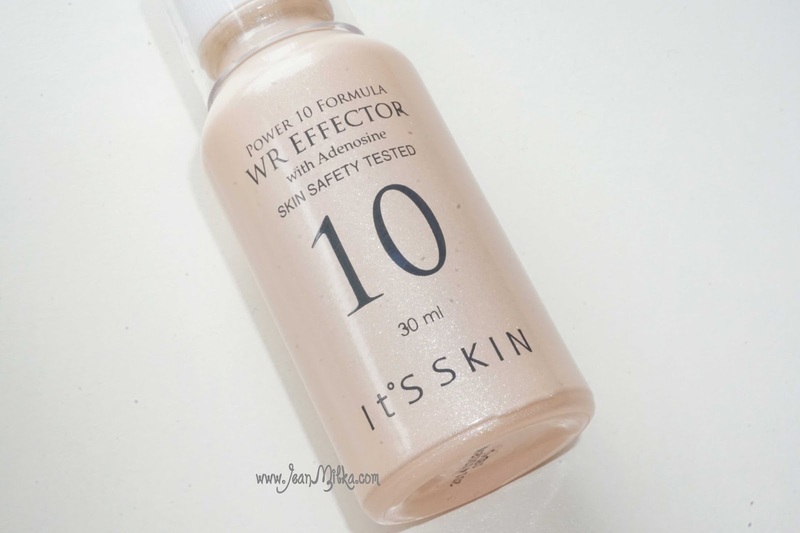 It's SKIN Power 10 Formula WR Effector serum is a clear, watery, oil texture. Once you applied it on your skin, it absorb instantly. It has strong scents just like the facial toner. If you don't like too much fragrances on your skin care product, this might not for you. Overall this two product work perfect together to keep the moisture level on your skin during the day. with this two product together, you can get glow skin finish like most of Korean artist. Price wise, it's one of the best moisturizing product with drugstore price I have ever encounters. You can get the Facial toner for 145.000 IDR and the WR Effector serum for 140.000 IDR from Nubeauty Store. You can buy this producs directly from the website here, or from their Tokopedia account. 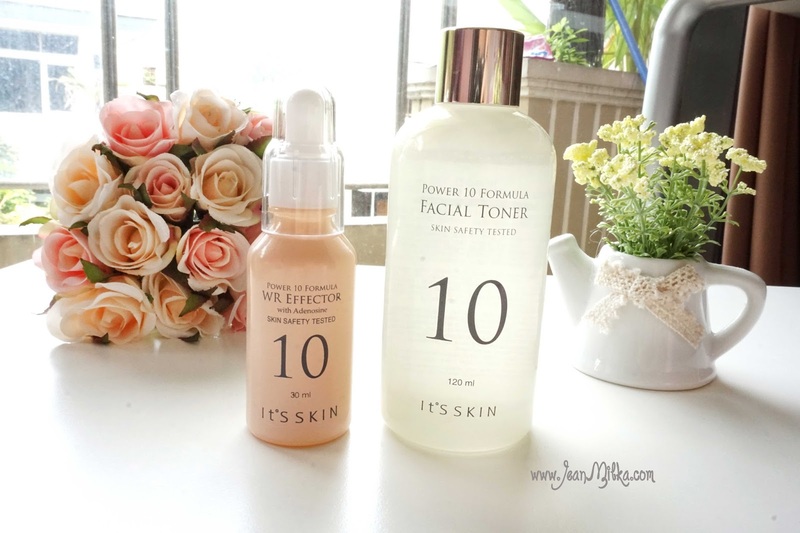 7 komentar on "It's SKIN Power 10 Formula WR Effector and Facial Toner Review"
Body mist? hahaha nggak lah... tpi mank harum banget sich, mgkin bisa di coba. wkwkwk..
hemm... mungkin hindari yang sifatnya untuk memutihkan dech. Karena umumnya produk Jepang dan Korea itu mengandung bahan untuk mencerahkan kulit, dibeberapa jenis kulit bisa jadi discoloration.